Made in the USA and family owned, the Best Recliner series is the largest and most durable recliner in the industry, accommodating up to 400 lbs. of everyday use and stretches to a length of 83". Best currently manufactures over 2400 styles in over 800 fabrics and leathers. 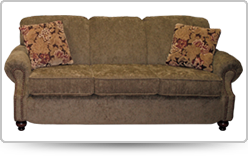 We offer reclining sofas and chairs, stationary sofas, lift chairs, swivel, power and glider recliners, sectional sofas and accent chairs. 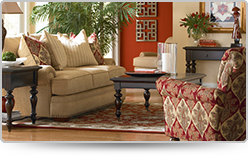 We offer American Furniture Company TV carts, bookcases, coffee and end tables. We offer Best Craft Furniture log beds, sofas, futons, rustic furniture, unfinished furniture, recliners, log furniture and outdoor artwork. 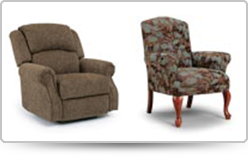 We offer Brady Furniture living room furniture, coffee and end tables, recliners and stationary chairs. We offer Home Accents including solid oak furniture, benches, coffee and end tables, pie safes, and hall trees.